Steven (Chicagoland, United States) on 17 October 2016 in Architecture and Portfolio. 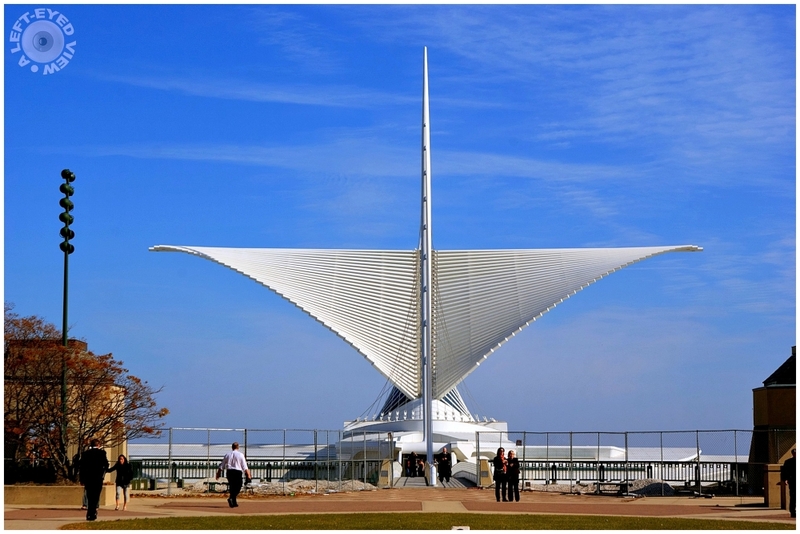 Exterior of the Milwaukee Art Museum as seen from its west side, looking east. The Burke Brise Soleil is a moveable, wing-like sunscreen that rests on top of the Museum’s vaulted, glass-enclosed Windhover Hall. The “wings” open Tuesday – Sunday at 10 AM with the Museum, close/reopen at noon, and close again with the Museum at 5 PM; except on Thursdays when the Museum closes at 8 PM. Such a graceful creation - and intelligent, as you say ! Superb composition of this elegant Museum ! Vraiment une belle architecture,sûrement un endroit à découvrir. A superb image here Steven, and a very interesting information you provide on this. It seems ready to take off! It's good it has the sensors. It definitely looks like it's going to take flight! That is a unique design.... so cool! Great info too Steven... an excellent capture! This is an amazing structure. I can only imagine what it must look like being right there. Much bigger I am sure. Wonderful perspective! Very creative architecture! Fine capture! Love this museum and you have taken a fine shot of it. The one day I passed by I was unable to frame anything this good. Fantastic architecture. Very modern and harmonious. It seems like a big bird.